Top Trending is a mainly Asian facing developer why has only been operating since 2016. While they do have mostly original titles, they have gained much notoriety for their slots inspired by other popular titles and themes. For example they have a slot released in May last year called The Legend of Link which is a blatant rip off of the Nintendo licence, the Legend of Zelda. They continued this trend with other pokies like Action Heroes taking more than a little inspiration from the Marvel Universe. 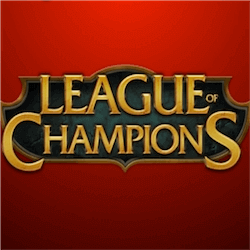 Now they have done it again with League of Champions, taking its inspiration from the hit online PC game League of Legends. It is a bit disappointing that Top Trending Gaming hasn’t published a RTP for this pokie but on paper its stats look promising. The minimum wager is quite high here, starting at 4 and having an upper limit if 200. The reels are quite large and arranged in a 5×4 grid. Top Trending have opted for a more rewarding 1024 ways to win pay system which multiplies your wins the more matched symbols you land in a row. The reel symbols look great and the graphics overall gives this pokie a very premium feel. The reel symbols are all slightly altered characters from League of Legends which fans should be able to instantly recognise. The reel symbols also feature a Green gem, a blue spell book and a red potion. These icons will act as matching symbols and a combination of any three or more of these symbols will offer you a payout of up to 250. The big golden L is the substitute wild which will take on the value of any of the League of Champion’s standard symbols. It only shows up on the 2nd and 4th reels though so it can be challenging to make these work, but the 1024 ways to win system certainly helps. The golden crest is the League scatter symbol. This icon not only triggers the special free games feature but awards some big cash prizes itself., 200, 1000 and 2500 can be awarded for landing 3, 4 or 5 scatter symbols anywhere on the reels. The free spin feature triggers with the scatter icons and you can win between 5 and 20 spins, depending on the amount of scatters you have landed to trigger this feature. During the Free Games additional wilds will start appearing on reels 2, 3 and 4.